All eyes will be on Gillette Stadium when New England and Toronto face each other in what is expected to be one of the most interesting games of Saturday’s program. 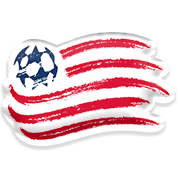 The Revs suffered heavy defeats against the likes of Atlanta United and Sporting Kansas City in previous two league fixtures and they are certainly low on confidence ahead of the visit of Toronto. The Reds have been producing outstanding performances in the Major League Soccer this term and we predict that they are going to cement top position in the Eastern Conference with a win over New England. Unlikely previous seasons, Toronto have been impressive on the travels in the MLS this term and the likes of Sebastian Giovinco and Jozy Altidore are likely to make life difficult for the opposition back-line. The Revs are tough to beat at home, but they face an uphill task in Saturday’s football match against the Canadian outfit. Antonio Delamea Mlinar is a Slovenian footballer who plays for New England Revolution in MLS. Milnar was born in Celje, Slovenia on 10 June, 1991 and his main position is centre back. The New England Revolution defender played for the likes of Celje, Sampion, Aluminij and Interblock during his youth career and he signed his first professional contract with Interblock senior team. Mlinar scored one goal in 23 league appearances for “the Gamblers” from 2008 to 2011 and in 2011 he joined Slovenian giants Olimpija Ljubljana. He played an important role in the capital club for seven years, but in 2017 he decided to take a step forward in his career. Mlinar signed a deal with New England Revolution in January, 2017 and he has been playing for the Revs ever since. He made his debut for the Slovenia national team against Poland in November, 2016, replacing Miral Samardzic in the second half of the match. 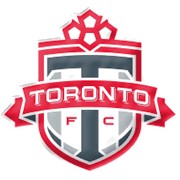 Toronto is a club based in Canada, but they have been competing in Major League Soccer since 2007. Maple Leaf Sports & Entertainment own both the soccer club and National Hockey League’s Toronto Maple Leafs. BMO Field is the club’s home ground and the capacity of the stadium is 30.000. The Canadian outfit impressed in the 2016 MLS Cup and they faced Seattle Sounders in the title game at BMO Field. However, the Canadians were more than unfortunate not to lift the silverware as they were beaten by the Sounders on penalties. Speaking of the Canadian Championship, Toronto FC won their fifth domestic title in 2016, with the team beating Vancouver Whitecaps in the final of the tournament. Montreal Impact are considered the club’s biggest rivals and there have always been fireworks in meetings between the two Canadian sides. Toronto FC’s home kit is red and it is no surprise they are nicknamed the Reds. It has to be noted that the club was founded back in 2005.